Selfie sticks will also be banned at Disney's parks in Paris and Hong Kong starting July 1. 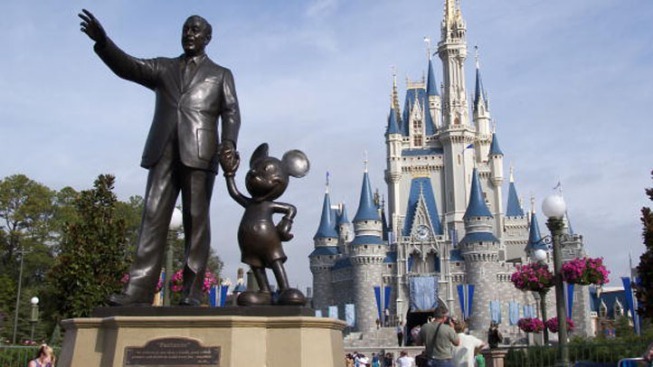 Selfie sticks will soon be unwelcome at Disney's Magic Kingdom and other theme parks. Don't bring your selfie stick to Disney World. Officials announced Friday that a ban takes effect Tuesday at all four Disney theme parks in Orlando as well as at Disney's water parks and Disney Quest, a gaming attraction at Downtown Disney. Spokeswoman Kim Prunty told the Orlando Sentinel selfie-sticks have become a "growing safety concern for both our guests and cast." Selfie sticks will also be banned at Disneyland Resort in California on Tuesday and at Disney's parks in Paris and Hong Kong starting July 1. Officials say guests will have the option of turning in their selfie sticks for pick-up later, or returning them to their cars or hotel rooms. The sticks have been banned at a growing list of museums, music festivals and sports venues.